Home › Travel Talk › Why It’s Good To Get Lost On Your Gap Year. The Great Wall of China, Mount Fuji, the Pyramids of Giza, the Inca trail, the names alone are enough to evoke vivid images of these truly awe inspiring locations. All of you know these places well. If you haven’t seen them yourself then you have definitely heard of them, and more than likely they are on your bucket list of things to see. The world is full of amazing attractions that people flock to, and backpacking around the world gives you the privilege of seeing some of the most awe inspiring, amazing sights on the planet. Part of the reason many of us travel is to see these places for ourselves instead of just in a photograph or TV screen. 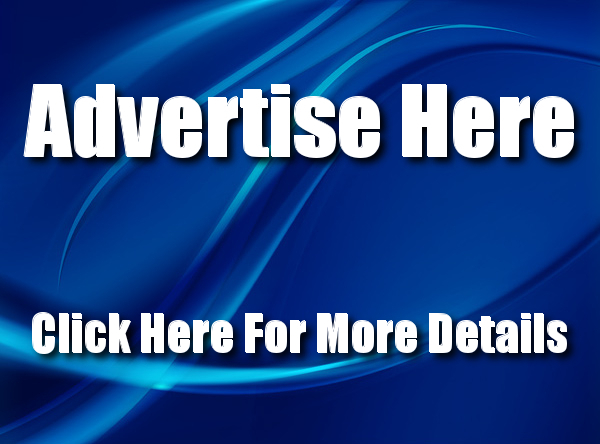 These very same attractions are perhaps the only reason many people make their way to any given destination. These sites are all worth seeing, but they aren’t the only attractions in any given place. Unfortunately some people have a tendency to want to try and see it all, to use their precious time backpacking to try and rush through every single ‘must see’ attraction, every scenery point, every activity, to see everything and tick them all off the list. It isn’t just package tour sheep who do this either, backpackers – especially new backpackers – fall into this trap too. I have lost count of how many times people have asked me to list off for them all of the things that they have to see in any given place, and every travel guide book and website is full of top ten lists of the things you have to do. Don’t get me wrong, there are reasons that people flock to these places, there is a reason that these attractions are world class tourist draws and are listed in every single guidebook. Certain places will always be ‘must see’ by their unique beauty, ability to awe or inspire, or even simply by their sheer majesty, and of course you should use your chance to see them while you can. But sometimes it is good to just get lost too. Sometimes it is better to put down the guidebooks, ignore the top ten must see lists and just wander aimlessly. I don’t mean follow the ‘off the beaten track’ recommendations in certain travel guides or articles, I really mean just wander aimlessly and get lost. I know this may seem like a strange piece of advice, especially with many backpackers reliance on ultra detailed maps and given the fact that I usually give out a lot of advice on backpacker safety, but hear me out. I know that there are certain common sense travel safety considerations to take into account, I’m not suggesting that you ignore these and wander off down a dark alley by yourself against your gut instinct, and I know that many backpackers have found themselves lost, in unfamiliar territory and become quite worried as a result. But here is the thing, you really don’t have to worry about it if you put yourself in a certain mindset. In most destinations – especially major towns or cities – you will never really wander far enough that you can’t find a main road and flag down a taxi to get you back to your hotel or familiar territory if you need to, and by using landmarks you pass along the way as waypoints, you will always have a route back if you need to retrace your steps. So now that the worries about safety and security have been laid to rest, that potentially terrifying experience can suddenly become a potentially wonderful one, full of excitement and opportunity, full of the sense of adventure and the unknown that is a hallmark of true independent travel. Getting lost and just slowing down and exploring a place can be a truly wonderful travel experience in itself. By moving away from the tourist hordes and exploring, you can discover some real hidden gems that have probably never even been seen by a tourist, you can explore the back streets and the architecture of the towns and cities you are visiting or get a real snapshot of the day to day lives of people other than the touts and taxi drivers that infest tourist sites. By just wandering aimlessly with no real plan or destination in mind can help you find the true soul of a destination. By simply wandering without any specific destination in mind and getting completely lost I have seen some amazing places that I never would have seen if I had just stuck to the sites listed in my guidebook. I have found local markets and backstreet shops, some of them a little surreal, wonderful shrines and temples, truly jaw dropping scenery and friendly locals who were truly surprised to see a tourist aimlessly strolling down their street. By getting lost I have had the opportunity – the privilege even – of interacting with locals on a level far deeper than I had experienced at the usual tourist destinations. By getting away from the calls of ‘Where are you from?’ ‘Sir, I have a shop,’ ‘suit for you sir?’ Or ‘Taxi, taxi, taxi,’ I had the chance of talking to some real locals who weren’t out to service tourists or scam money out of me. If I had never put down the guidebook I never would have had the chance to discover a wonderful little Medieval town on a bike ride near the Black Forest in Germany, I never would have had a surreal but unforgettable conversation on religion with a Padre, a Catholic nun and Muslim at a train station in India, (no that really isn’t the start of a joke!) And I never would have been invited onto am army barracks shooting range by a Thai Army Master Sergeant in Bangkok! Getting lost has given me the opportunity to explore destinations in more depth than I ever would have been able to otherwise, and without the ability to wander off and lose myself, I certainly wouldn’t have had half of the amazing and unique experiences I have been lucky enough to fill my life with. So by all means, go and see the major attractions that probably drew you to a particular destination in the first place, there is nothing wrong with that. All I’m saying is every now and then just slow down a little. Take the time to look around and soak in the destination you are in. Put down the guidebook, ignore the itinerary and just get lost. To paraphrase Mark Twain, sometimes the best travel experience can be to get lost, explore and discover. The Art Of Backpacking. Be Spontaneous. 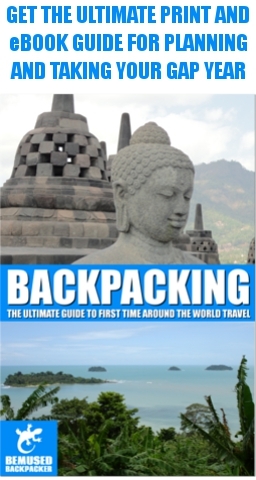 ‹ Win A Copy Of Backpacking: The Ultimate Guide To First Time Around The World Travel. Excellent advice!! I myself have “gotten lost” time and time again and have wonderful memories because I did. I truly agree with your view on taking just a few steps off the beaten track to discover a whole other world. Thank you for the comment Siobhanjs, I’m glad to see I’m not the only one! Definitely agree wih the getting lost allows you to meet the locals, which i found was sometimes much more interesting and fun that the attractions! Nice read! Thank you very much, and thanks for commenting. Definitely agree with you, the attractions are often a reason to head to a place, the locals and the hidden gems you find while getting lost are the reasons to stay longer than you planned.